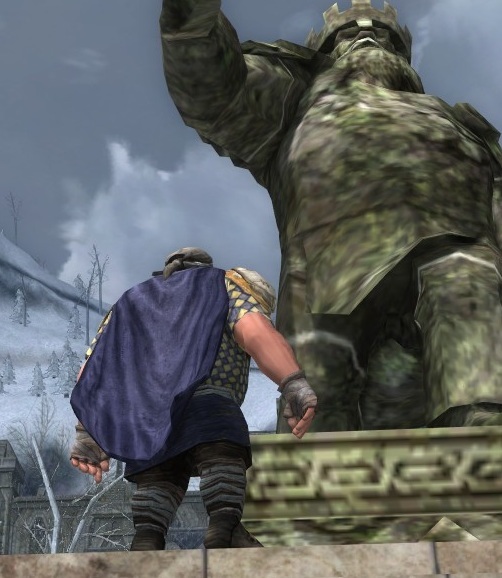 The Dwarven lands of Arda are dotted with sculptures, from small busts to the huge statues that decorate Thorin’s Hall and Khazad-dûm. The sculptor makes it happen. 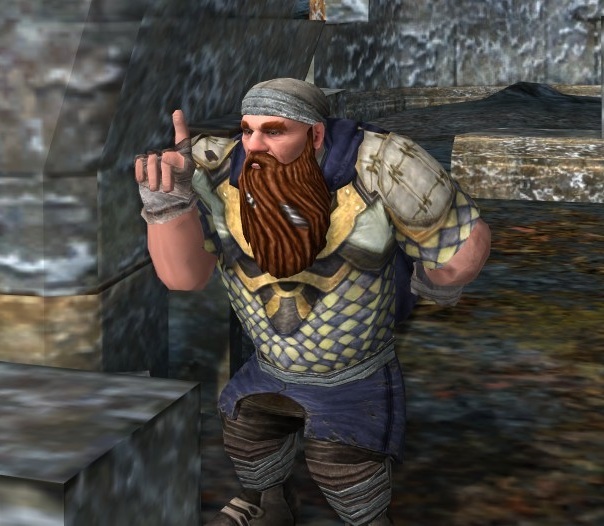 Half mason, half artist, he renders from stone faithful likenesses of great Dwarves of yore. In his most vainglorious moments, he wonders if Mahal the Maker (the Dwarvish name for Aulë the Smith, who created Dwarf-kind) felt much the same way when he shaped his special children. 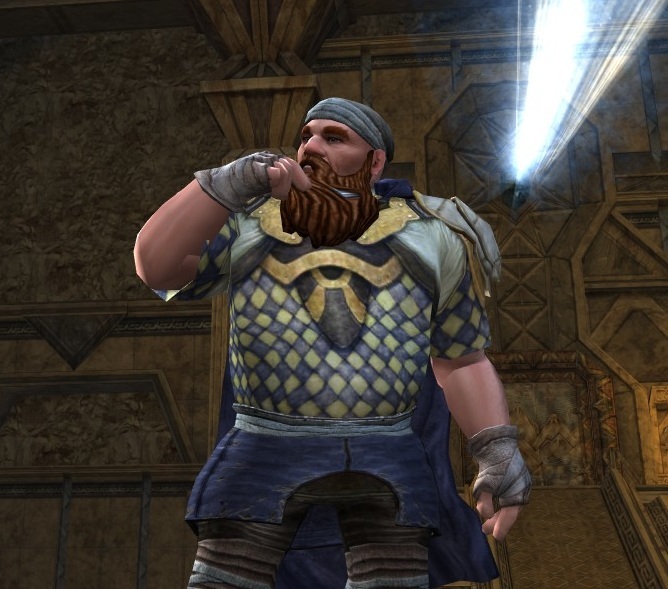 I really like the “Isengard Prisoner” cosmetics from Volume III, Book 4 (see Cosmetic Lotro’s Escape from Isengard outfit as a nifty example of these pieces in use), but I rarely like using items for their original intent. This outfit uses several of the pieces to show a laborer, a craftsman so involved in his work that he hardly cares that his leggings are ripped and the wrappings at his hands and legs are faded. All he cares about is his art and his stone. The choice of materials is crucial. A wise craftsman spends much time contemplating the work of those who have gone before. Where DID I leave that chisel? Simple and rugged. Good match with that geometric shirt! The bandana makes him look like a real artist. Well done! A dwarf-mason is a great concept to go with those pieces, very nice! I like all of your posts, but this one just charmed me. I'm a Landroval player who loves the cosmetic outfit system, and after seeing hundreds of amazing combinations over the years, I decided to start a blog highlighting both my outfits and those of my fellow Landroval players. If you're a Landroval player who would like submit an outfit, please let me know through the "Say 'Friend' and Submit Something' tab, above. I'd love to hear from you!